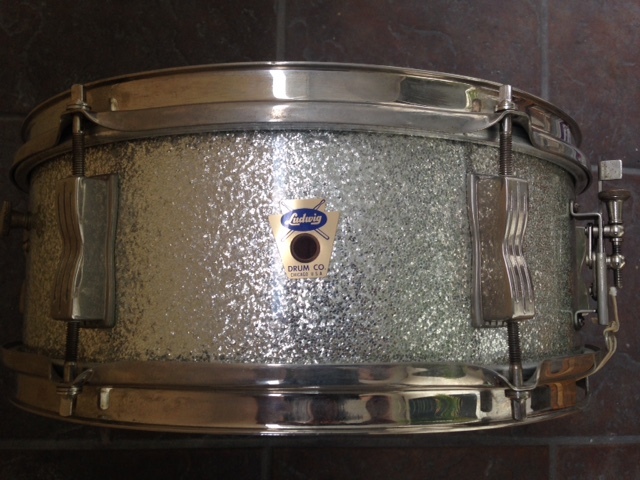 This installment of Vintage Happiness finds the kit that started it all for me. This is the very first vintage kit that I ever bought and it came to me in such a great way. Many years ago, when I was about to I move west to California, I bought the reissue John Bonham Vistalite set because, well, I just had to have it. I knew this kit was not practical for the gigs I would be doing so I was ready to order a brand new smaller gig friendly set from Ludwig. On the day I went in to pick up the Vistalite set, sitting right next to them was this very kit. A good drummer friend from high school was the store manager and he received these in from the owner the day before. He knew I was coming in the next day for the Bonham kit and knew this set was perfect for me so he had them sitting there waiting. Needless to say, I was very happy and to this day I thank him for getting me started on the wonderful journey of collecting and playing vintage drums. Thank you again, Dave! 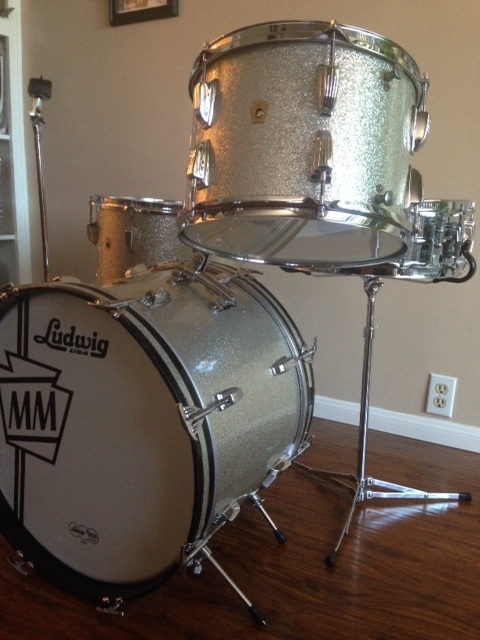 So what started it all is a 1966 Ludwig Superbeat in Sparkling Silver Pearl. 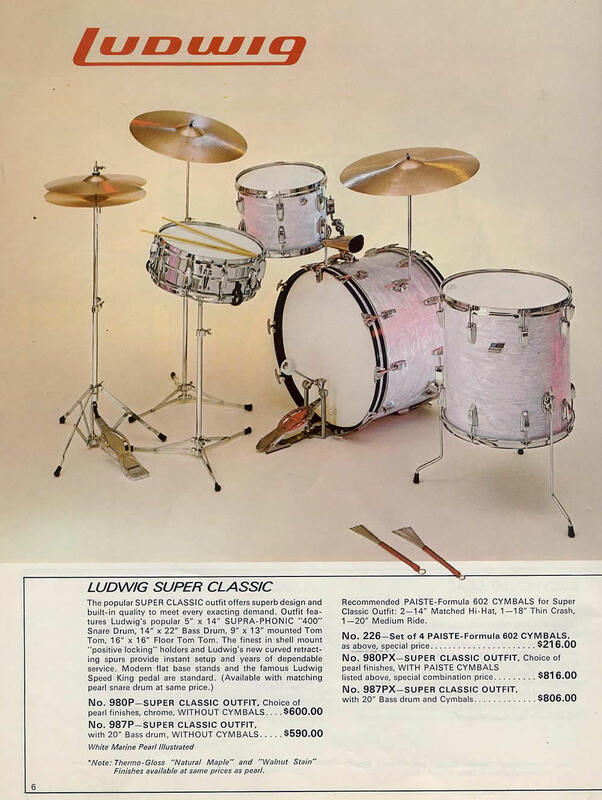 As you know, the Superbeat is an uncataloged set consisting of the optional 20” kick with the Super Classic 13” tom and 16” floor tom. So, 20/13/16. 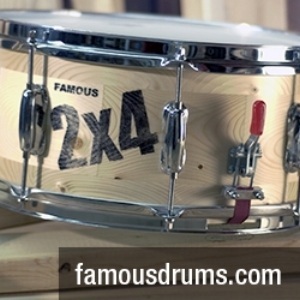 This set appears to be a special order set as well as both the floor tom and the tom have dual mufflers, one for the top and one for the bottom heads. 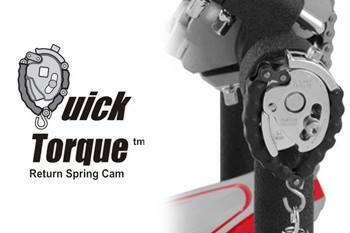 The bass drum also has dual front and rear sets of spurs. All these options were available when you ordered a kit back then. When I first received the set a second Rogers tom was mounted on the bass drum so there were 4 extra holes from that mount that needed to be plugged. I contacted the great Uli Salazar from Damon Drum Company (Uli now works for Ludwig) and he provided me with the perfect wrap matched plugs. A proper cleaning and detail was done and the drums looked as good as new. The kit is very bright and the wrap has minimal fade. All the set needed was a matching snare drum so over the years I added a 1969 Pioneer and more recently a 1959 Transition Badge mahogany shell Pioneer as well. 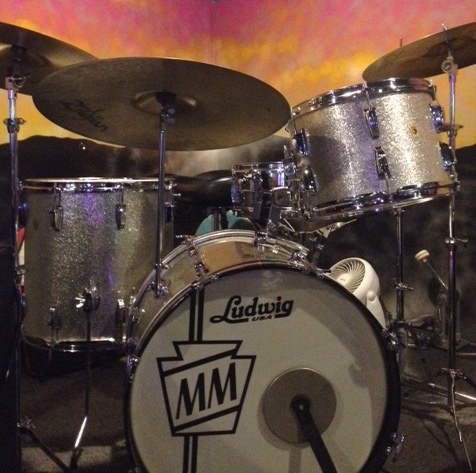 When a metal snare is required, I use my pre-serial COB Super Ludwig ala Joe Morello. 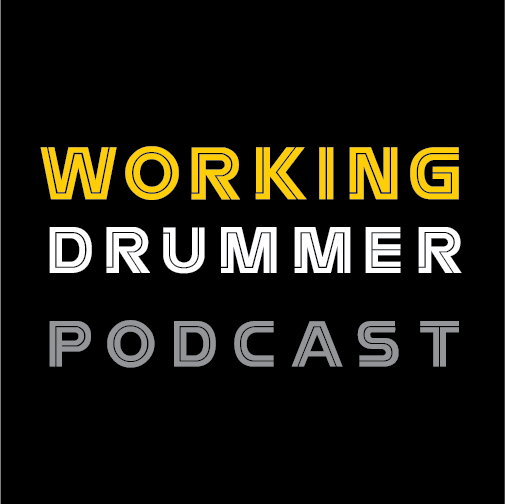 Until next time PLAY those drums!